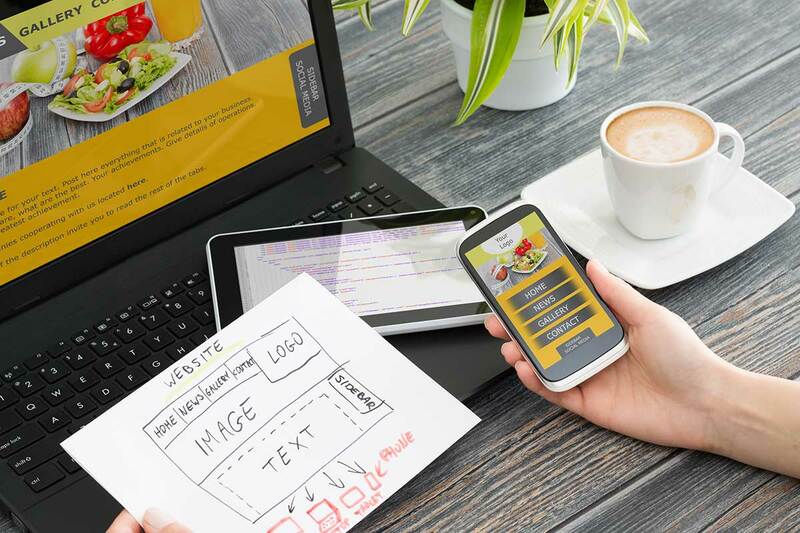 What Is a Boutique Web Design Agency and Why Use One? What Is A Boutique Website Design and Creative Agency? I often refer to my business as a “boutique website design and graphic design agency” and many people get thrown by that term. So, let me clear up for you exactly what that term means in the creative, advertising and marketing world. A boutique agency is a smaller creative agency that focuses on specialized work for a limited client list. They don’t have multiple worldwide locations, a huge payroll, and generally, aren’t handling work for big brands like Nike or Pepsi. Although, many experts suggest that big brands should really consider using boutique agencies for a variety of reasons. A Boutique Creative Agency is going to be more nimble, more adaptable, not afraid to experiment, more cost-effective and more likely to move quickly at what they are trained to do – handle their niche product offering. The team that pitches your ideas is the team that actually works on your project – it's not handed off to a different team. A personal touch, because you are working with a carefully chosen team, tailored to your needs. Lower costs, because we don't have the larger overhead of a bigger firm, so those costs aren't being passed on to you. Faster turnaround, because we don't take on more projects then we can comfortably handle at one time, meaning you don't get lost in the shuffle. Boutique agencies, whether they are graphic designers, website developers, advertising agencies or marketing agencies, tend to specialize in specific forms of advertising, marketing, and creative work. Traditional agencies favor broader marketing approaches that often include areas such as heavy market research, demographic studies, media buying, broadcasting, and print. Often times, a larger traditional agency will also outsource specialized projects to boutique agencies themselves. Many traditional agencies can be slow to adapt to new technologies, because of the breadth of work that they handle on a day to day basis, and it can become harder for them to adapt and change along with industry trends and client needs. A boutique agency operates with a smaller staff, and sometimes uses hand-picked and trusted contract workers and freelancers to handle specific aspects of a job, when needed. And, although they produce big agency quality work in their niche, they do so with a lower overhead because of their size. The end result is a highly individualized and personalized experience for the clients they do take on. This makes a boutique agency a highly qualified alternative to the need for professional creative work that won’t break your budget. But, because boutique agencies such as ours are in high demand, and have limited staff, they tend to be very selective about the types of jobs and clients that they accept. They don’t have a need, or even desire, to take on every single client that passes through their doors. This is in contrast to bigger agencies that must take on as much work as possible in order to keep their lights on. Instead, they are able to pick and choose projects that are the right fit for both their staff and their clients, leading to a better outcome in the finished product for all parties involved. We already do a fair amount of “white label work” for larger advertising agencies that don’t have on-site web developers themselves. It’s kind of like the “ghostwriting” of website design and development. Their clients never even know their work has been “farmed out” to us. They just assume we are employees of the advertising agency that is handling their website design project. It’s a win for us because larger agencies send us a steady stream of work in return for being their “ghost” employee. It’s a win for the larger ad agency because they don’t have to keep in-house staff on their payroll specifically for specialized projects. And, it’s a win for their client, because they have their work handled by someone who specializes in what they need. You can consider a traditional agency a semi-truck and a boutique agency a small sporty car. Both have their benefits and drawbacks. Semi-trucks are large and can move a lot of things, albeit at a much slower pace and with a heavier monetary expense (i.e. gasoline to move those things). However, like a sports car, a boutique agency is going to be more nimble, more adaptable, not afraid to experiment, more cost-effective and more likely to move quickly at what they are trained to do – handle their niche product offering. So why not just go direct to the source?